We are [jelly] rolling with happiness because it’s National Sew A Jelly Roll Day! Moda dedicated this day, the third Saturday of September, to this little precut and encourages you to embark on Project Jelly Roll! All you have to do is tear open a Jelly Roll and make something with it! Here at Fat Quarter Shop, we have lots of patterns and videos tutorials for you to make with a Jelly Roll. And we have a Jelly Roll Day Sale: get up to 40% OFF select Jelly Rolls and 25% OFF Jelly Roll Patterns! And check out our #FQScantcutthis Jelly Roll Day Giveaway HERE! Both sale and giveaway ends Sunday, September 16, 2018 at 11:59 PM CST. 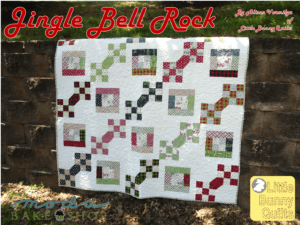 Happy National Sew A Jelly Roll Day and Happy Quilting!